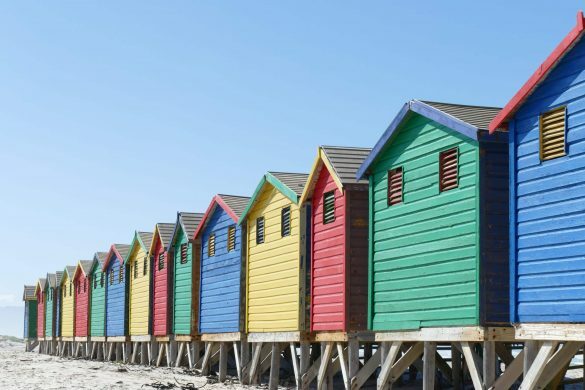 When traveling from Cape Town to Port Elizabeth (or vice versa) you have a couple of road options to choose from. But which route to pick? 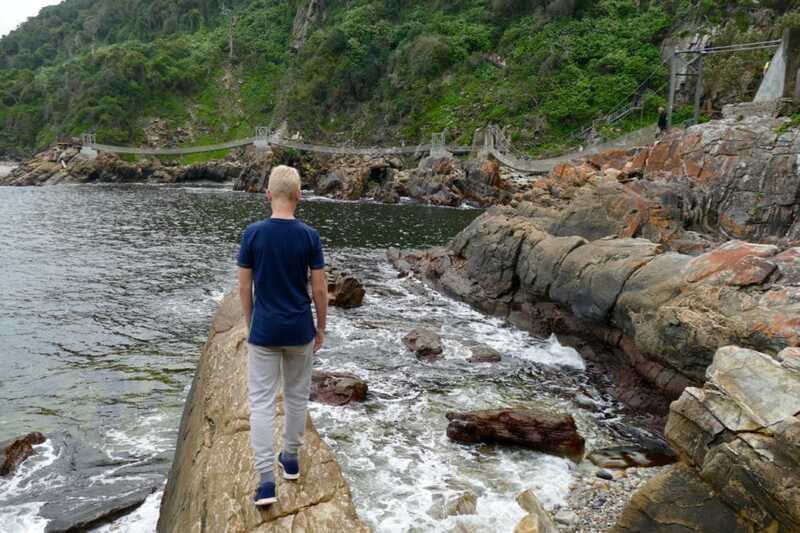 Most people will go for the famous Garden Route which also I recommend. 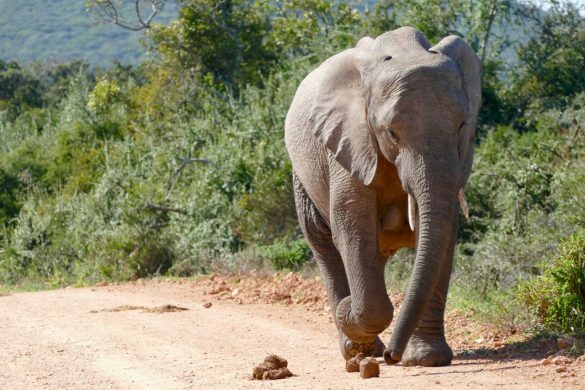 This post shows you some Garden Route highlights but, more importantly, reveal another great option: the Garden Route’s inland counterpart Route 62! 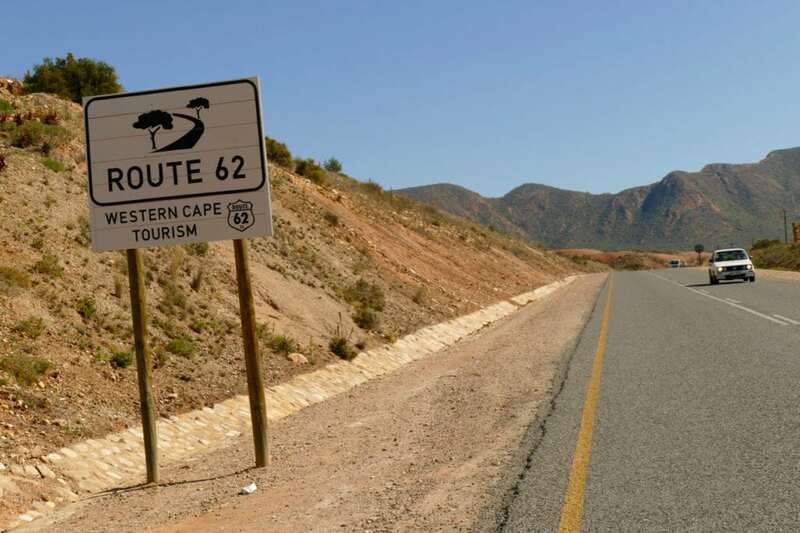 Route 62 is one of the most rewarding trips in the Western Cape, a meandering road from Cape Town to Oudtshoorn. Did you know both routes can easily be combined? 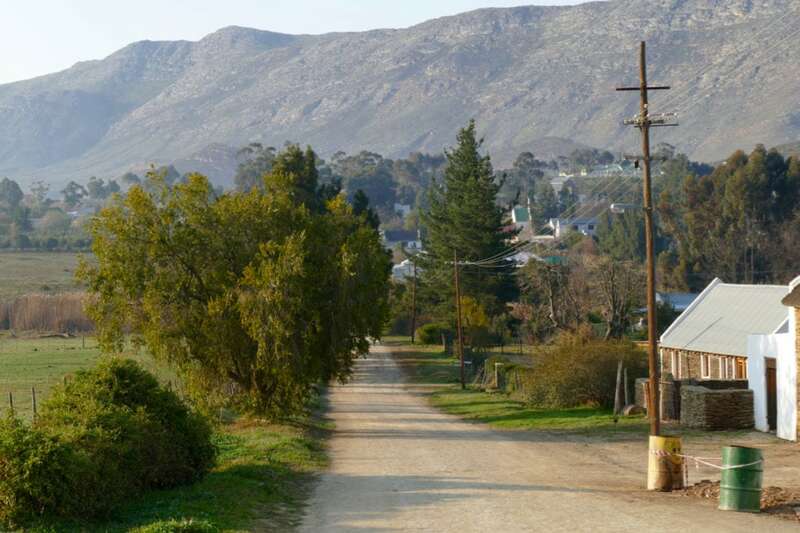 We start our story at the heart of Route 62: the town of Barrydale. 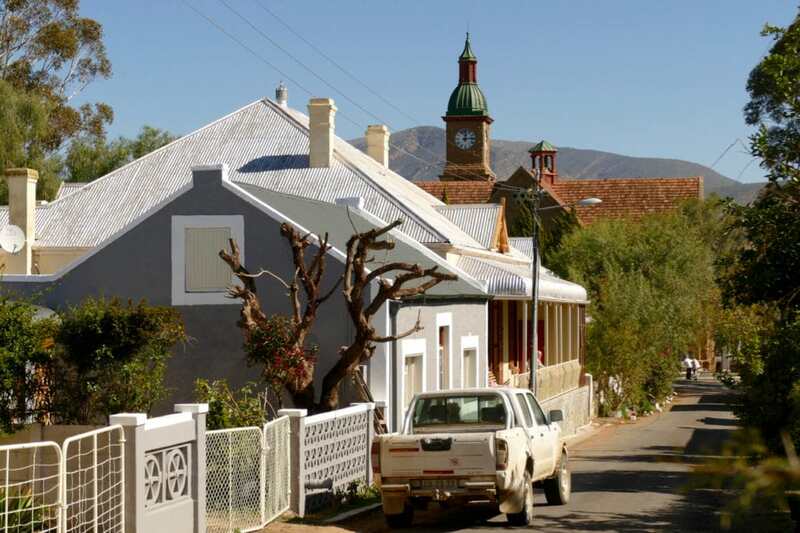 That day we were walking the streets of Barrydale after checking in at Karoo Art Hotel. 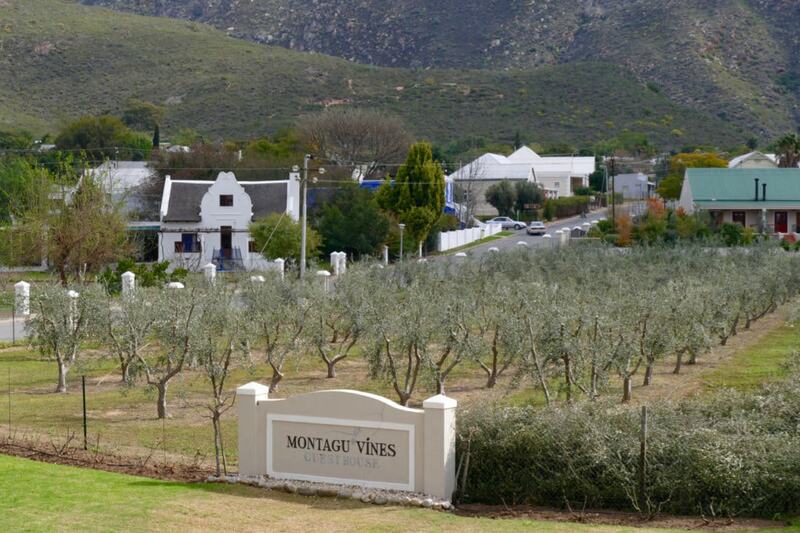 Next day our trip would continue towards Hermanus and Cape Town. Our short walk ended at the Magpie art gallery. 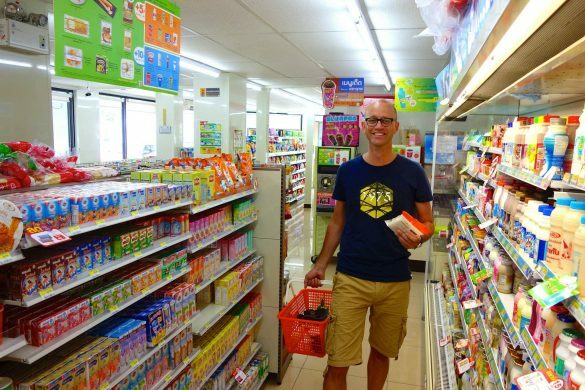 Magpie is a world-famous brand producing light fittings and home décor made mainly from recycled materials. They even supplied one of their chandeliers to former US President Barack Obama! 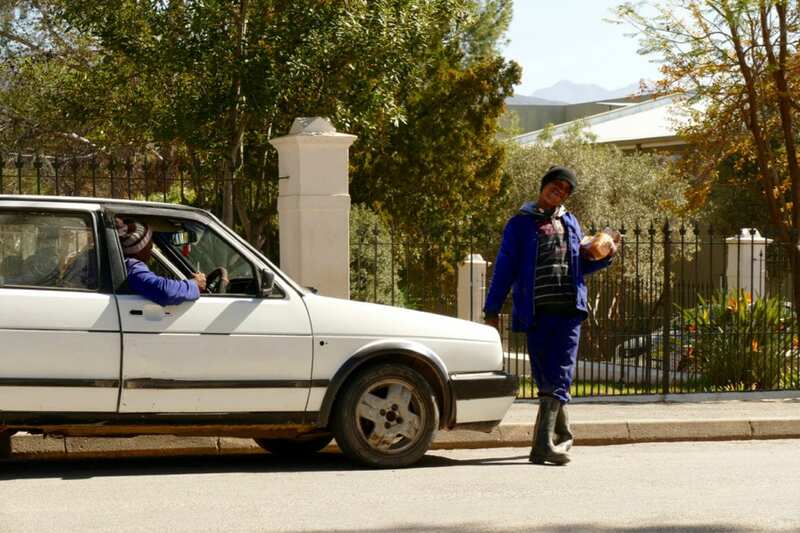 But such a gallery in a rural place like Barrydale? 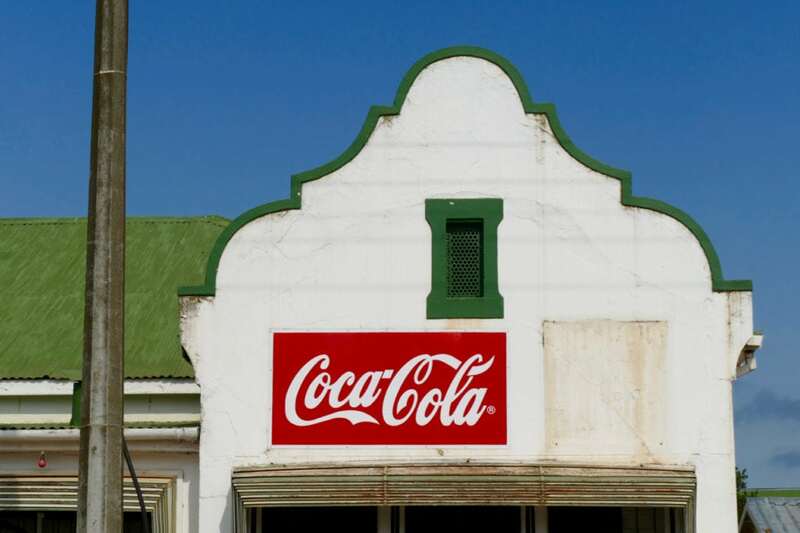 Klein Karoo and its Route 62 opened our eyes to a new and unexpected part of the country. 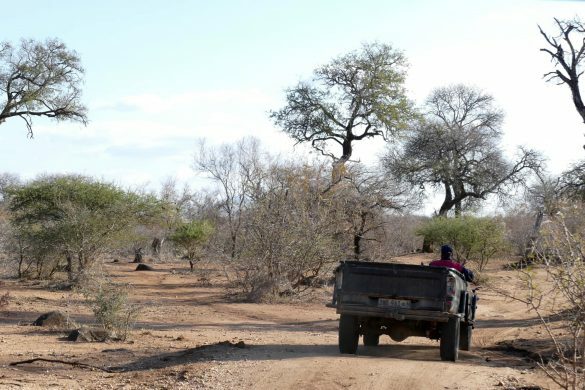 During the first leg of our South Africa trip we have seen beautiful landscapes: breathtaking Panorama route, Kruger Park and the roads that took us through Swaziland. 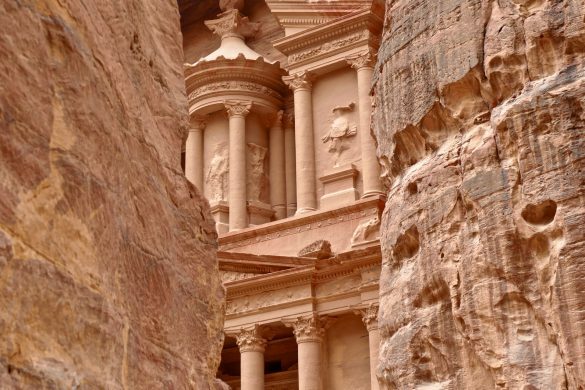 But the country had even more to offer as we were now slowly experiencing. 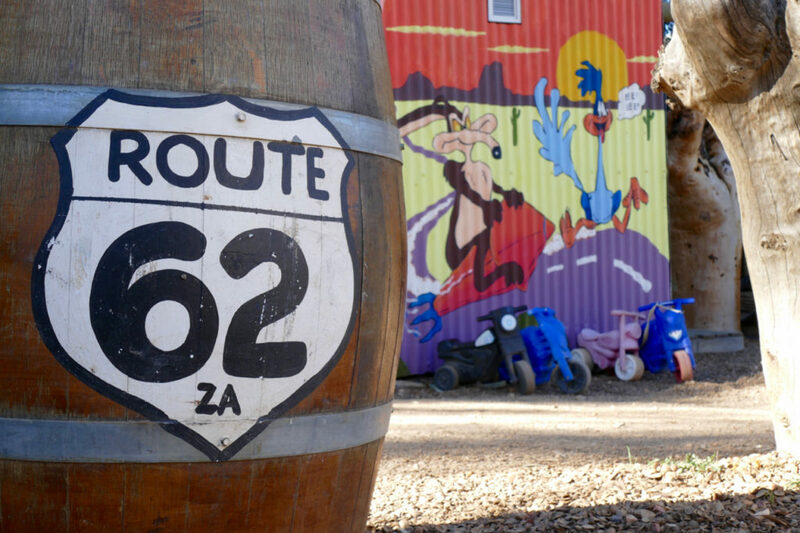 More about Route 62 later on! I’ll now continue showing you some Garden Route highlights. We combined Route 62 with parts of the Garden Route. 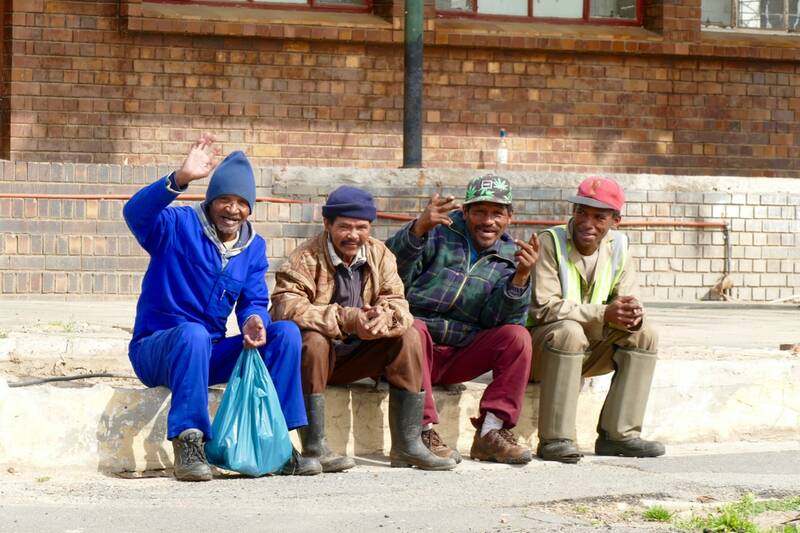 The second leg of our South Africa road trip started at Port Elizabeth with final destination Cape Town. 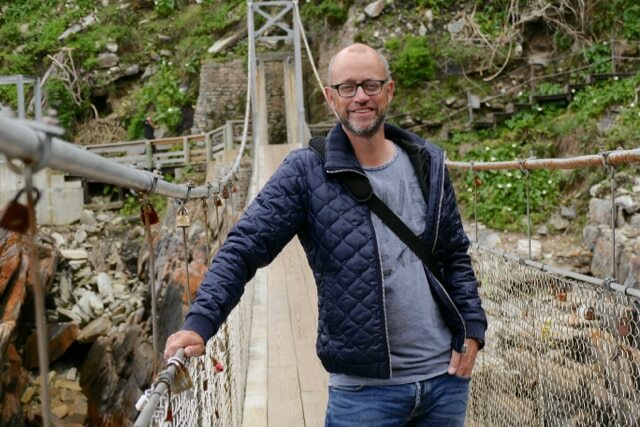 We kicked off this part following the Garden Route (N2) with stops at Storms River and Knysna. Let me show you why we picked these places. 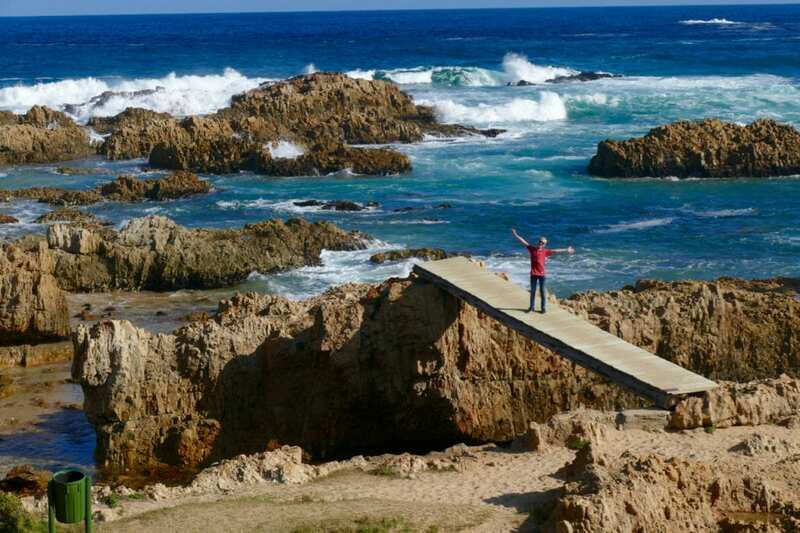 Clear signs guide you from the N2 to the entrance of the Storms River Mouth National Park. Drive all the way up to the end of the road. From there follow the boardwalk that meanders for 2km. 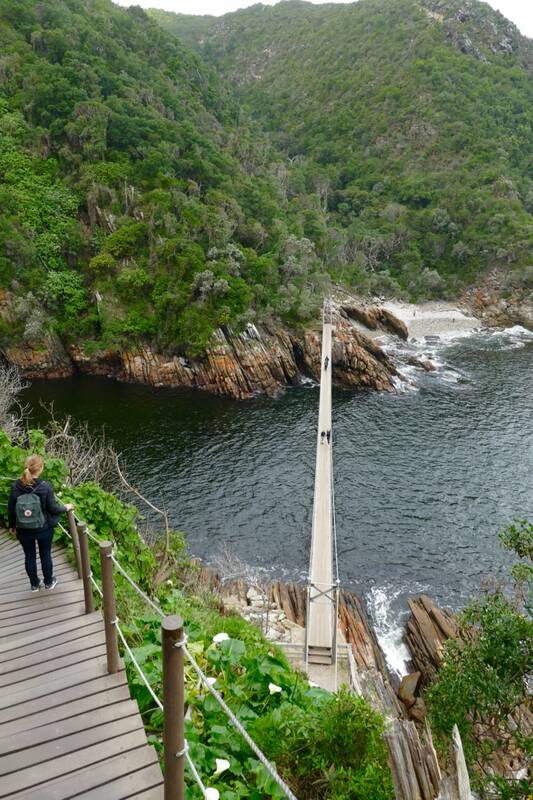 You will reach the impressive 70m suspension bridge covering the Storms River Mouth, where the river flows into the sea. We found this stop definitely worth the time and effort! 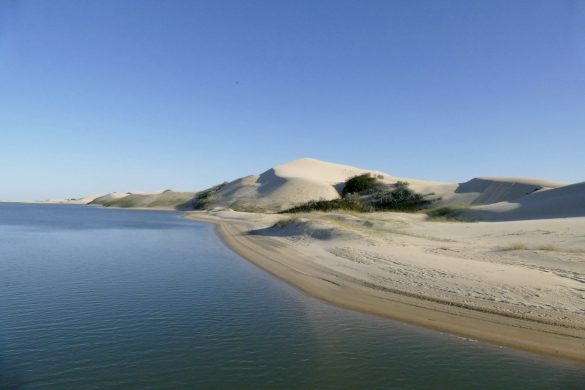 Continue your drive towards the city of Knysna. 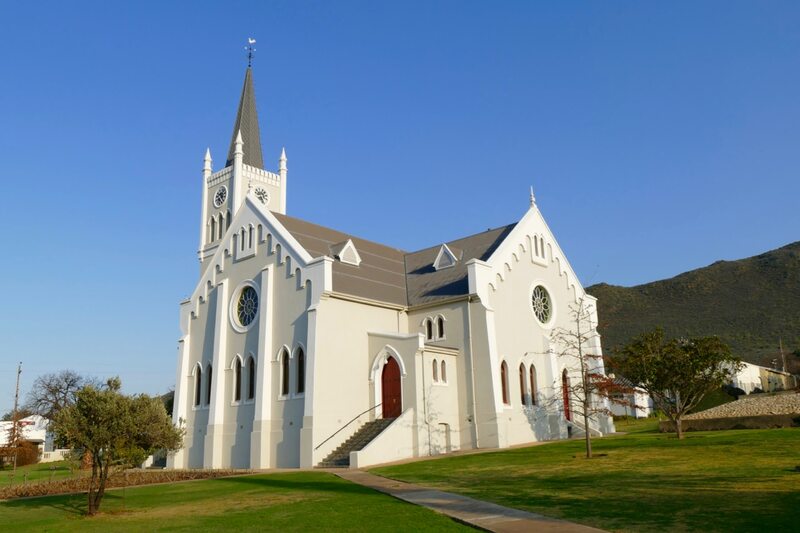 Knysna is situated at the heart of the Garden Route and a perfect base to explore the area. 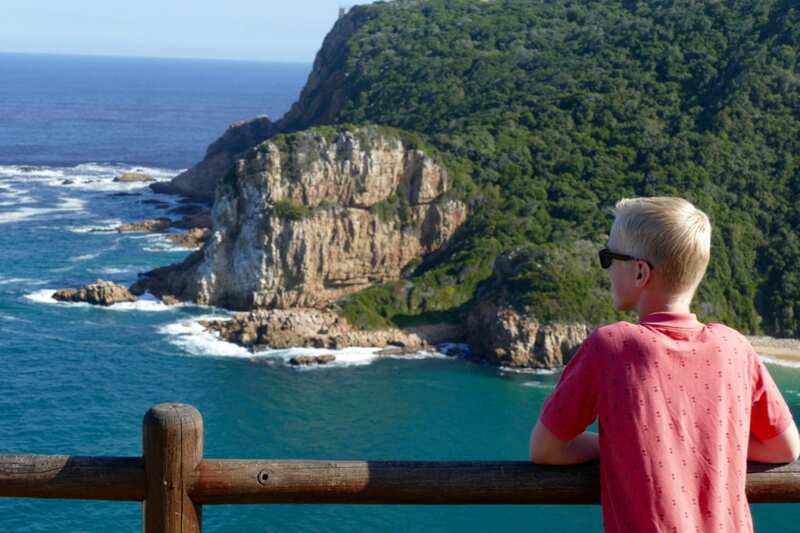 In Knsyna you will for sure visit the Knysna Heads, two dramatic sea cliffs marking the entrance to the lagoon. 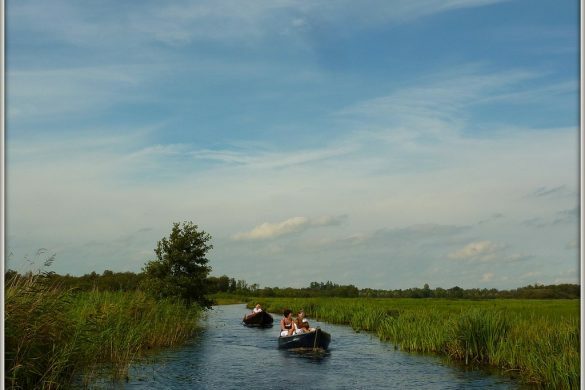 You can book lagoon boat trips but don’t forget to drive all the way to the top. Stunning views guaranteed! 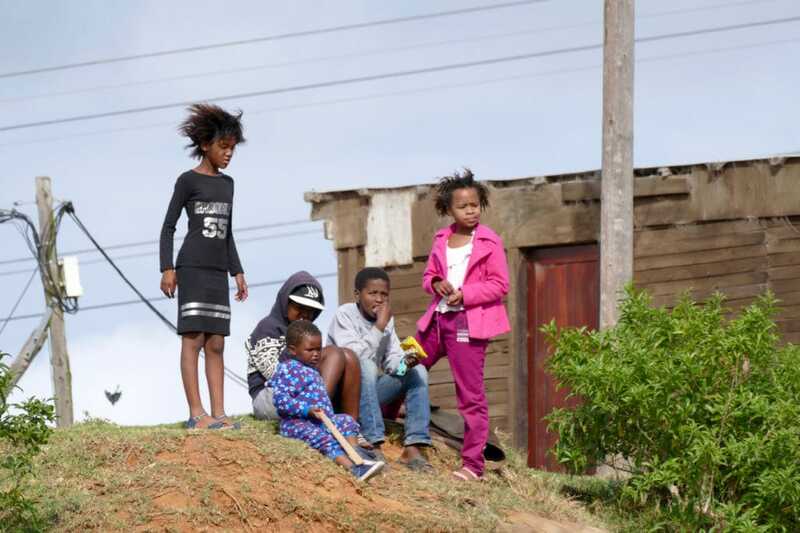 Our highlight in Knysna was a township tour with Emzini tours. Meet our tour guide Ella! 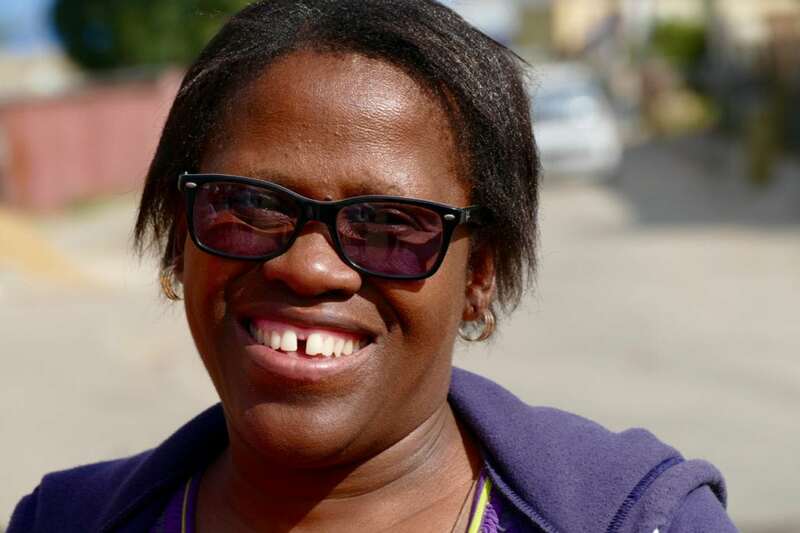 Ella is a Knysna township resident and heavily involved in its development. 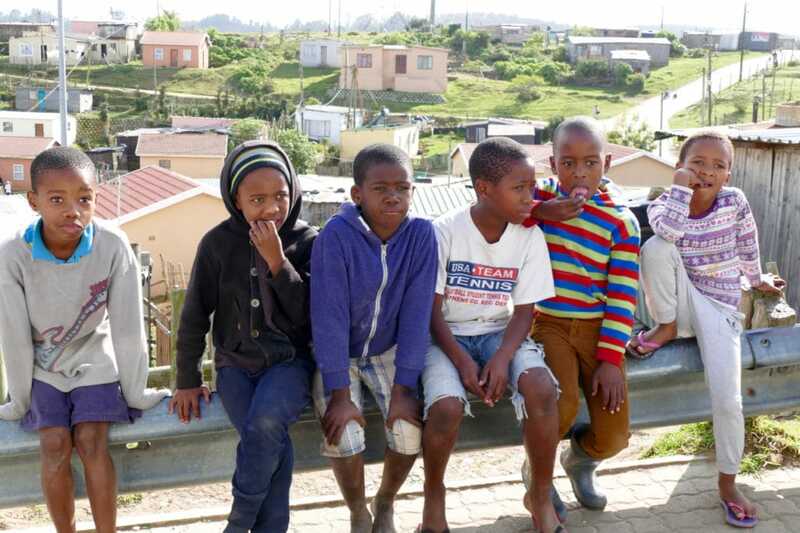 Being totally committed, she even adopted around 9 kids. Improvements are clearly visible everywhere as she vividly explained to us: new housing construction, a library etc. She took plenty of time to show us around. Ella even invited us in her home to meet the kids and drink some tea. We ended up making music together! 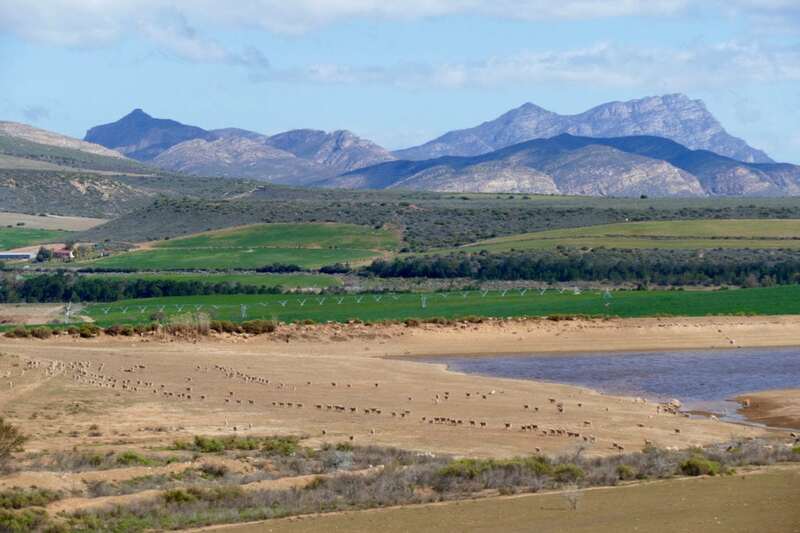 The Garden Route is beautiful, but when we drove inland from Knysna towards Oudtshoorn we were blown away by the semi desert landscape, a world apart. 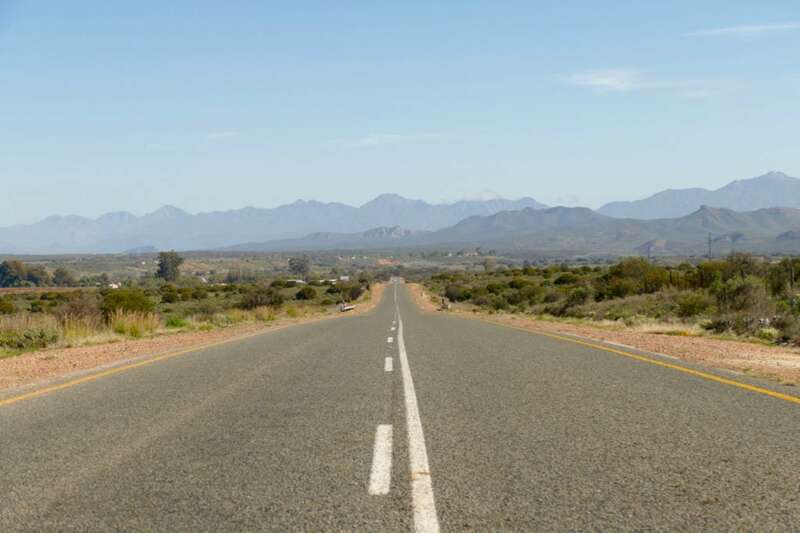 This is Route 62 area, the inland counterpart of the Garden Route! 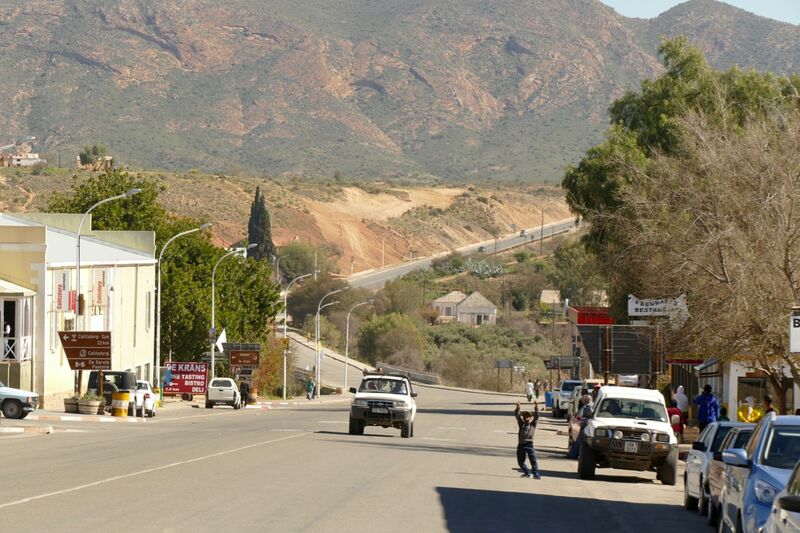 Oudtshoorn marks the starting point of Route 62. 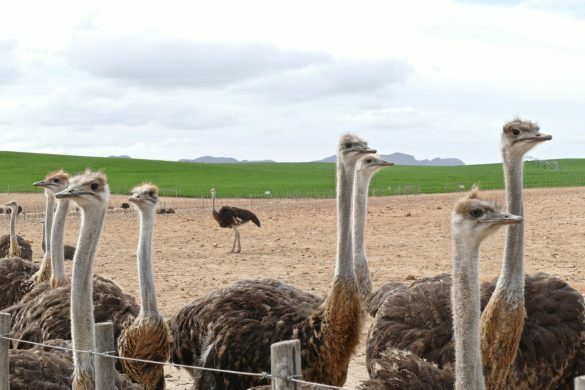 Oudtshoorn and its famous ostrich farms were worth separate post! You can read about it by clicking here. 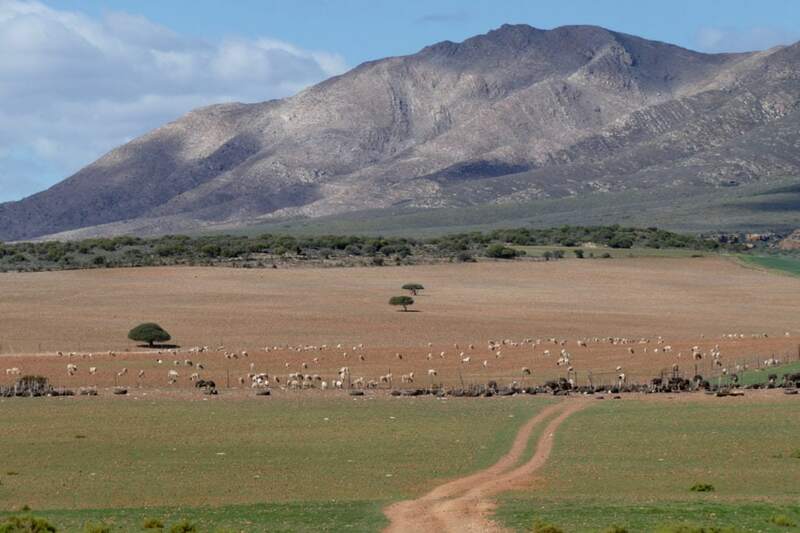 We followed Route 62 from Oudtshoorn to Calitzdorp, Barrydale (where we spent the night) via Montagu down to Hermanus. 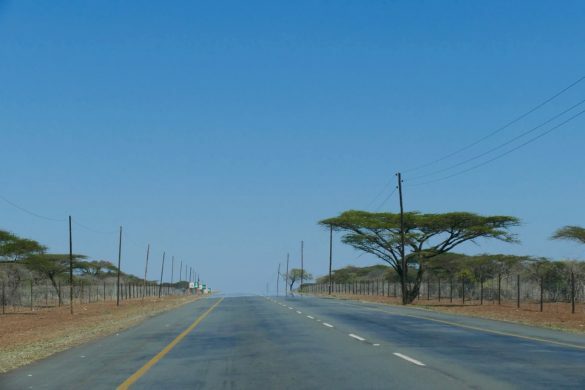 We drove while gazing at majestic mountains, herds of ostriches and dusty roads: the perfect road trip! 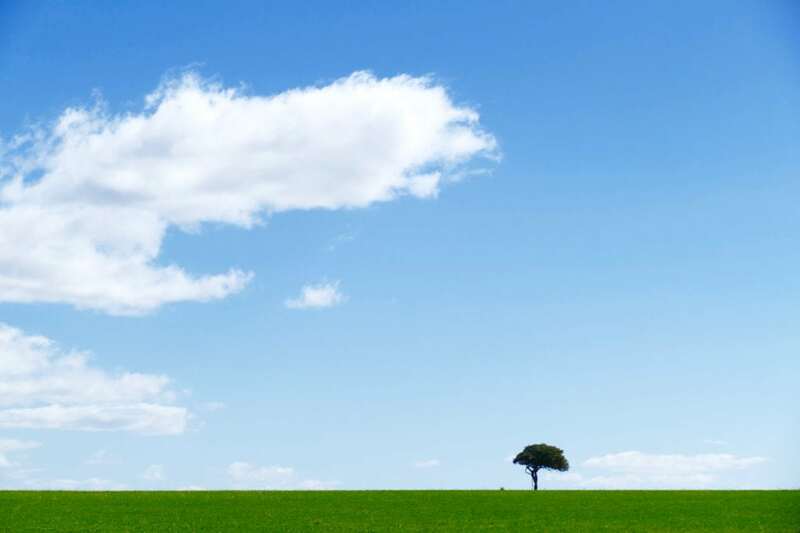 I am in love with spacious and infinite landscapes. 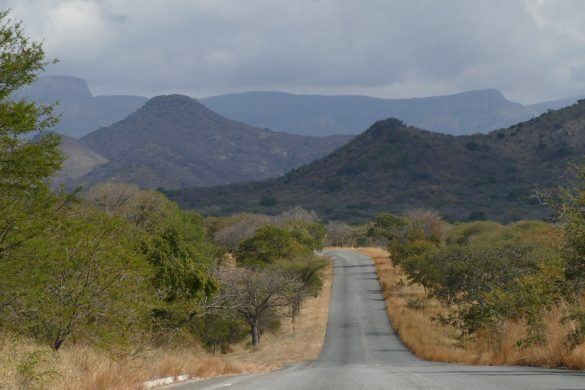 Roads that do not seem to end, mountain ranges that are waiting to be conquered via the road you are traveling, the red and yellow dusty colors that warn you about the extreme sides of nature. 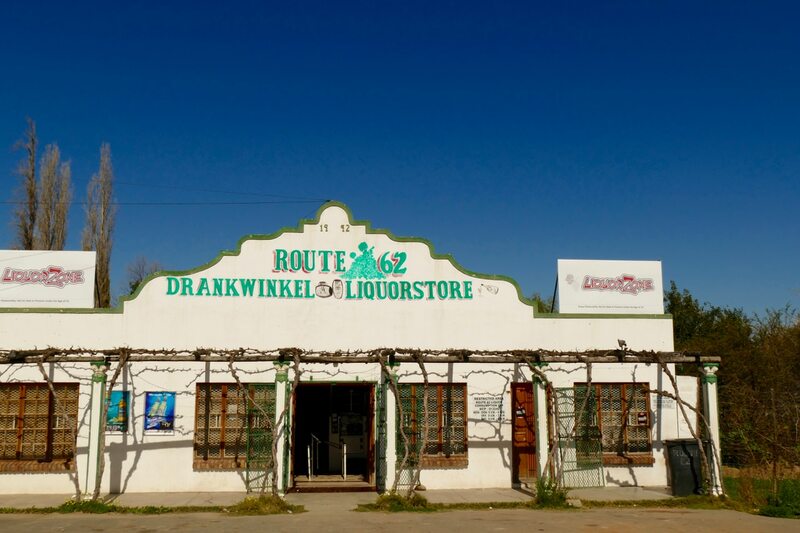 Route 62 compares itself with Route 66 in the USA but I think it can (and should) rely on its own identity. 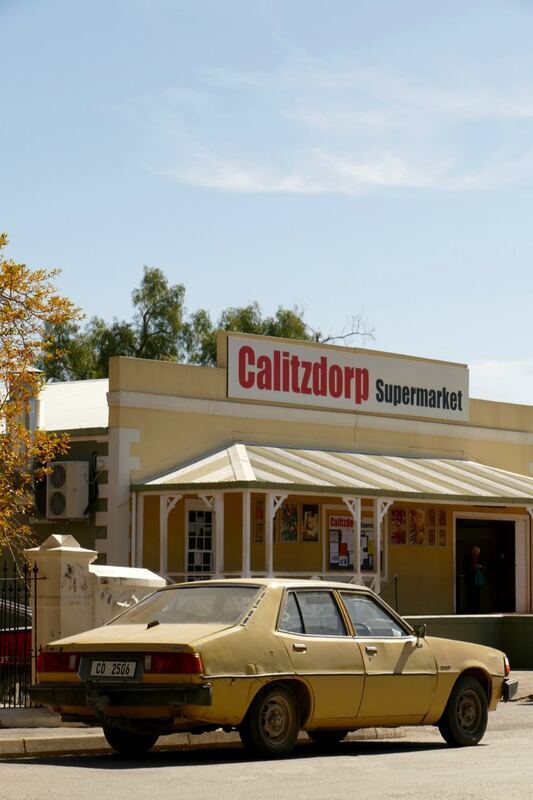 We stopped for coffee in Calitzdorp. 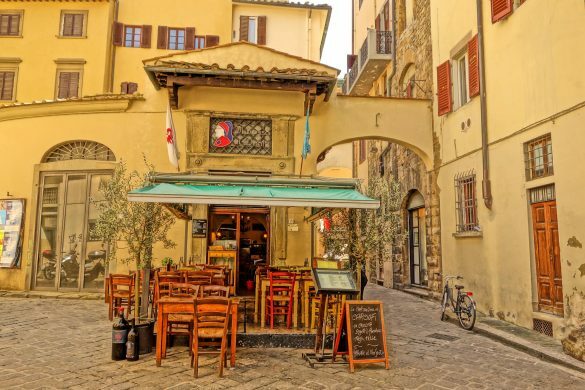 These are the towns that I love to discover: no specific touristic highlight, a place where people live by the day and where you can really feel the mountain village atmosphere. 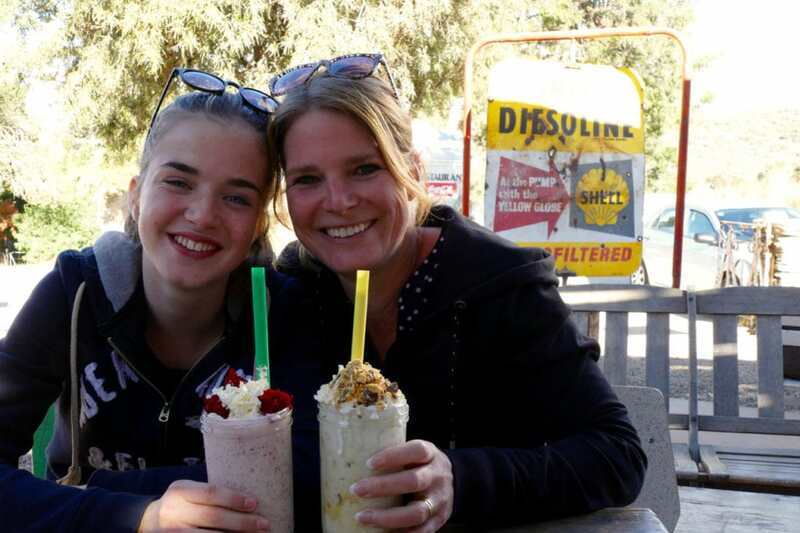 Many stop in Barrydale because of Diesel and Crème, a vintage, Route 66 USA style of deli. 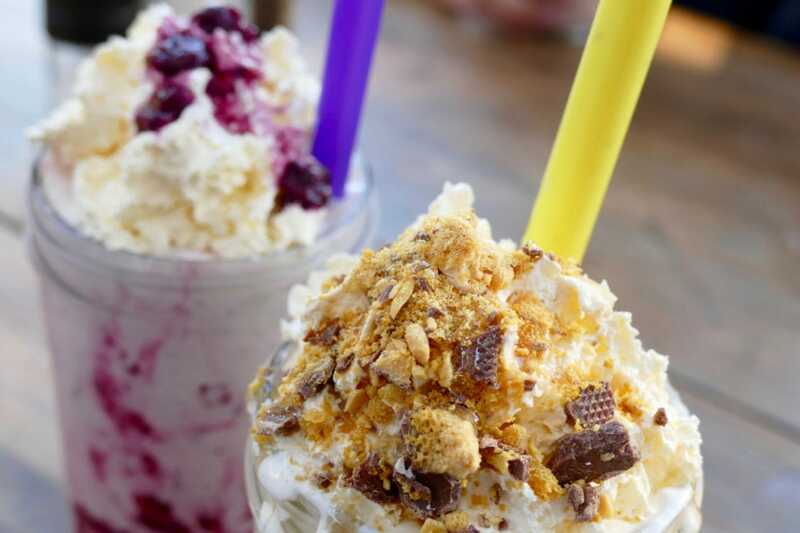 And I have to admit, the place is awesome and the milkshakes probably the best of the country! After Barrydale we continued towards Montagu, took the Kogmanskloof mountain pass and drove to Hermanus (with a stop at Riviersonderend). 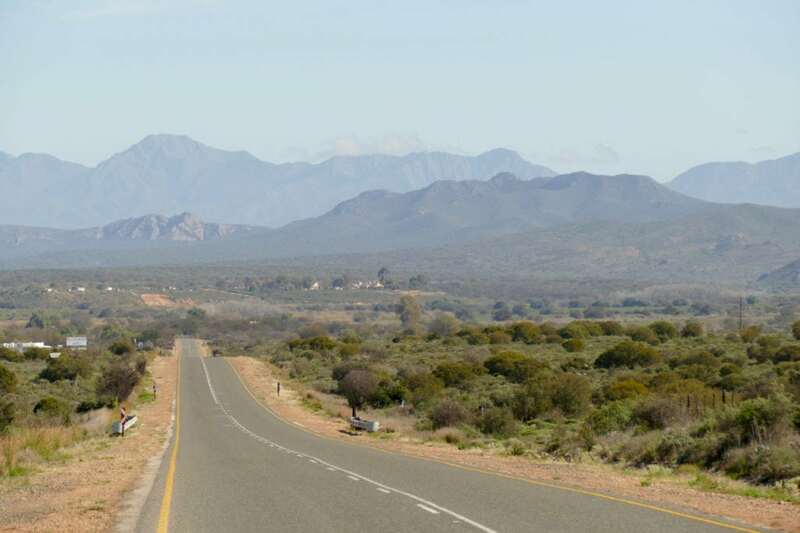 Do combine the Garden Route with Route 62, you will not regret it. Don’t worry, you will have plenty of time to soak it all in. These villages offer nothing more than to walk around, talk to people and have diner in a small restaurant together with the locals. Slow travel at its finest. 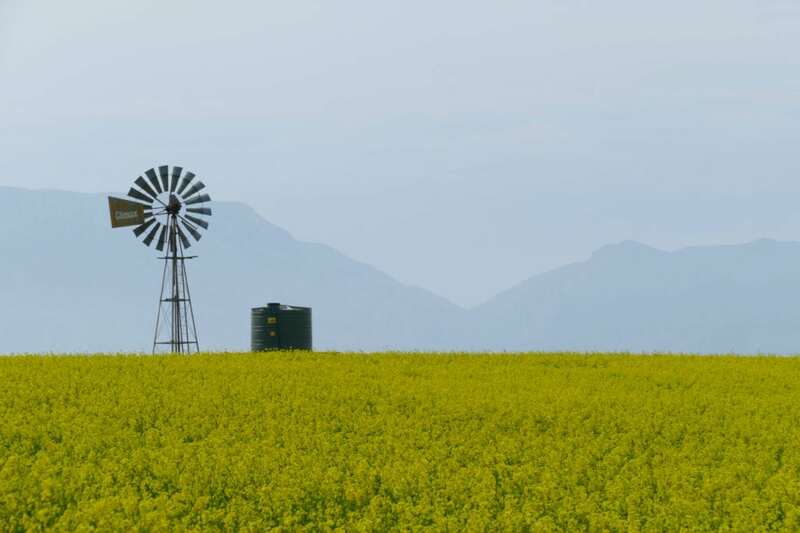 Don’t forget to check my earlier post: Our South Africa itinerary.